Well what a weekend it has been for the group with 2 Nominations for AIMS (Best Chorus for My Fair Lady & Best Actress in a Supporting Role – Jasmine Gardiner as Eponine in Les Miserables SE). This is a fantastic achievement for the group and Jasmine and hopefully we will be bringing home some silverware from Killarney. However another awards dinner was held in England over the weekend for NODA (National Operatic & Drama Association), and at this event a very special lady was recognised for all her hard work and dedication to Ballywillan Drama Group. 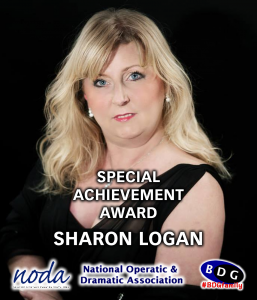 We are delighted to announce that Sharon Logan received the Special Achievement Award at this year’s Gala dinner. BDG Chairman, Richard Mairs says, “This is a fantastic achievement for Sharon and one which is so richly deserved, for many years now Sharon has been the heartbeat of the group and is involved in all facets of every production we stage. 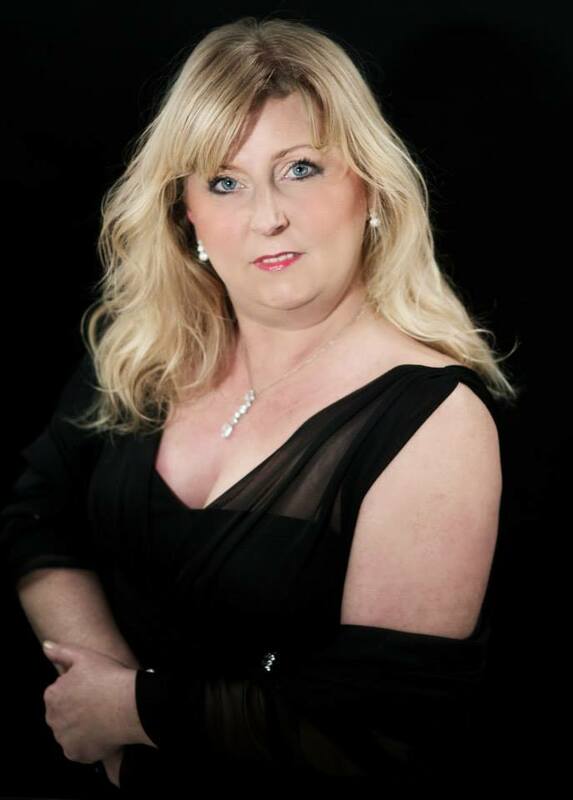 Although choreographer in title anyone involved with the group knows that her job roles are wide and varied to say the least, from producing iconic dance routines to designing costumes and wigs to being a confidant and all round second mum to a lot of the cast members. It is all these reasons combined as to why Sharon has been recognised from outside the group as being a vital ingredient in the make up of BDG. Every society has their own Sharon, however we at Ballywillan are very lucky and privileged to say that we have the original and best in Sharon Logan.